According to an official report from Danemark's Nordic Council of Ministers, Apple's iPhones aren't faring very well in terms of signal strength. The independent test has evaluated 26 of the most popular smartphones in the Scandinavian region for voice and data signal strength. The results show that, with some minor exceptions, iPhones are more likely to manifest signal problems than Samsung flagships. It should be noted that the researchers have focused on GSM and LTE bands that are popular and important in the region, meaning that this study doesn't apply to all countries around the world. Nevertheless, the independent test still helps highlight which phones have signal strength problems and which don't. As you can see, phones from the Samsung Galaxy S6 and S7 series have consistently ranked in the upper third of the rankings, while the iPhone 6, 6S, 6S Plus, and the iPhone SE have found a home toward the bottom of the rankings. Hopefully, the new iPhone 7 and iPhone 7 Plus won't have this problem. Over in the Sony camp, the Xperia Z3 Compact, Z5, and Z5 Compact have displayed varying performance in the test, which is why you'll see the phones scattered across the rankings and even switching places depending on the individual test. Huawei-made phones such as the P9, the Nexus 6P, and the gargantuan Honor 7 have ranked in the lower half of the rankings in all tests. We'd also like to point out that the LG G5 and the HTC 10 didn't fare very well either. For more explanations on how the test was conducted, make sure to hit up the source link below! What do you guys think of this test? 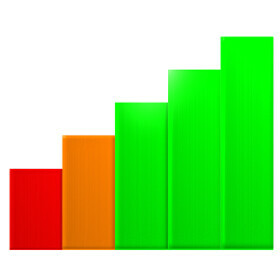 Are you having signal strength issues on your device? Guys! I have received a warning from Phonearena for posting a comment, so I am deactivating my account right now. F**k Phonearena, F**k Samsung bit***s, and F**k Phonearena PIMPS. I will see you around on the internet. Take care! Doesn't seem surprising that you got a warning. Grow up, you're lucky it was only a warning. I can verify that. My S6 consistently outperformed my friend's 6s in signal and LTE reception in areas with bad signal. And oneplus 3 is a different beast altogether. It destroys the S6, which had a pretty good reception. Don't know how it fares against a Samsung s6 or s7, but I never had a problem with signal strength on any iPhone I used. Wish I could test the phones too! Hope the iPhone 7 can be better on signal... unlike predecessor. Maybe your area has good signal. No my area actually has an average signal all of the time. But never had a problem with any iphone, even with iPhone 5, or 6S plus. As I already proved yesterday that am not a fanboy so I am honest here. Ok. Misunderstood. Thought they was talking voice quality witch is a improvement from Note 3. Does seem like I get fewer bars of signal though. Your phone antenna as a max gain in your signal not all phone antenna is identical. so 3 bar on one phone dont mean same signal strenght as 3 bar on another one. they already have answer for this case... "You're Holding It Wrong"
And Samsung is used to kill people. So much hate. Get a life. Except no one had died due to a Samsung phone. Can't say the same for the iPhone. Ifans only care about opening app 4/5 milliseconds faster, any other things considered not important. Impressive on samsungs side. no, I'm not having any issues with my signal strength but I don't use a galaxy so I couldn't compare. That's great, Sammy keeps trashing the competition. The S7 left the 6s in the dust. Nah. The iPhone does not open and close apps faster, if at all, that often. That little stupid 'lap test' is useless. Is that how you use your phone? No, not at all. Even if it does it's a fraction of a second and I'll wait a fraction of a second for the features and usefulness of an Android compared to a boring iPhone any day. Dunno about signal levels, but my iPhone 6 plus is much faster at obtaining signals and locking in than my GFs Note 5. Being on the same Carrier and while driving, I get signal and usability long before her Note 5 locks on. It also connects to bluetooth devices much faster.